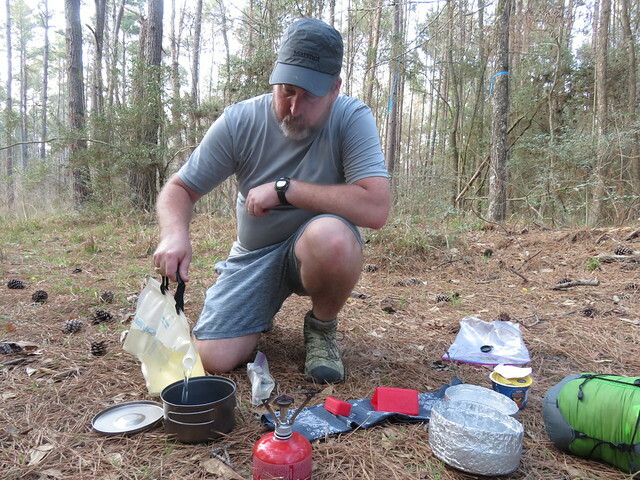 Last weekend we made it happen—we got out and did our second backpacking trip with Forest. If you remember last year’s trip, well, we intended to make another trip much sooner than we did. But finally, we made it out and did another overnight with Forest. 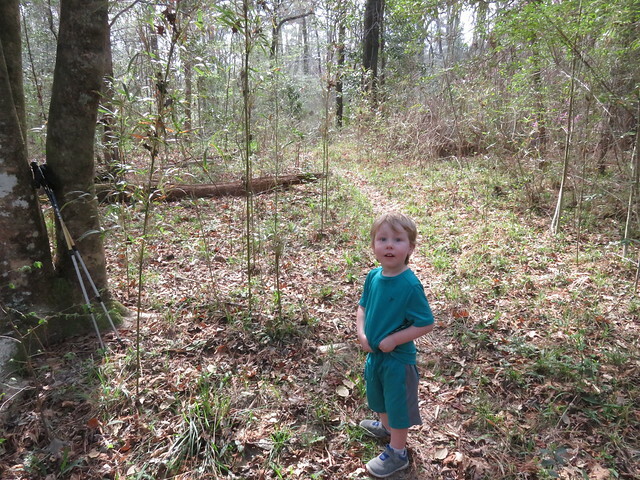 Now, Forest loves to hike and camp and any time we bring it up that we may be going camping or hiking he gets very excited and happy at the prospect. So, when camping plans go awry due to weather conditions it dampers his mood a bit. It seems like every weekend these days it appears that a chance of rain is in the forecast. The weekend before we had put off an overnight hike in favor of the day hike but then it didn’t even rain. This time we opted to just go for it and do as many miles the first night and hope for less hiking the next morning in case it rained. 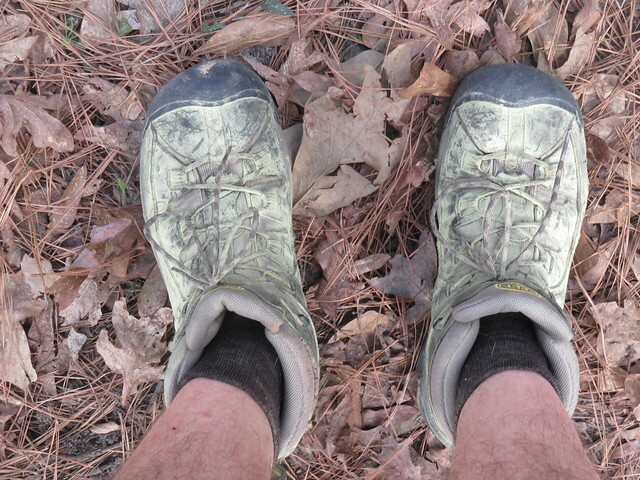 And as I was hiking back to the car the following day I remembered that we were heading home where showers and dry clothes were—this wasn’t a multi-month trip! I know, the simple things, right? Having just dipped our toes into the Four Notch Loop the weekend before, we opted to return. 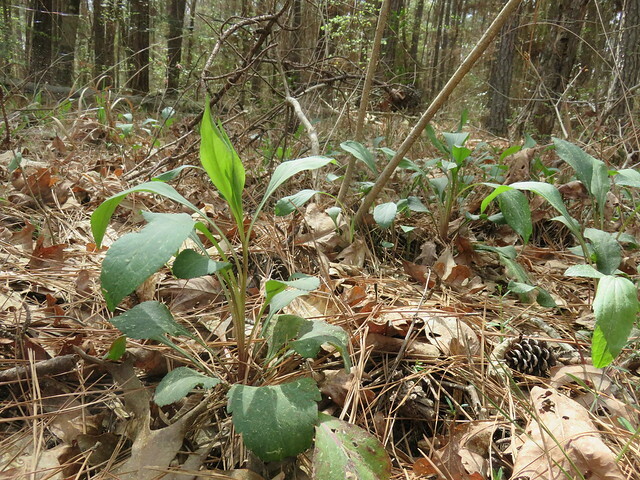 Chris and I debated if we wanted to do a short hike in and have Forest walk the entire way or take a longer hike and have Chris carry Forest for large spurts. 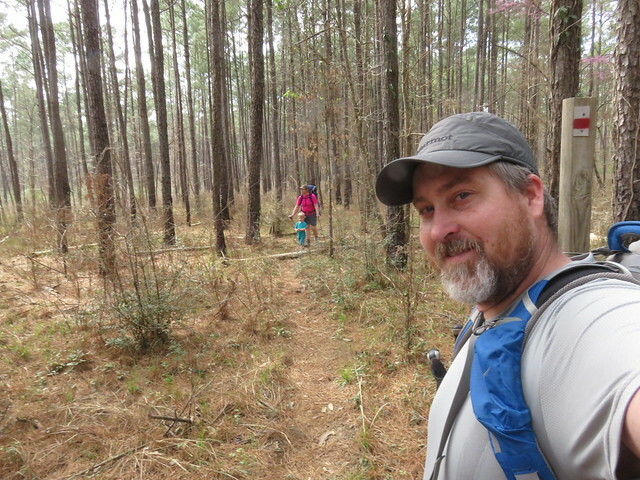 Chris wanted a longer hike and opted to carry Forest which meant I carried all of the gear. 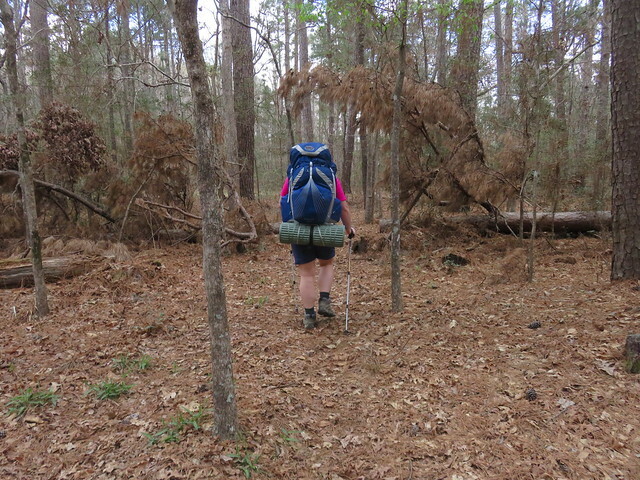 And oof, I know Forest is heavy but carrying all of our gear in one bag isn’t fun. The good thing going for us were the many access points for water and so I carried only a Nalgene for me, a Gatorade bottle for Chris, and Forest’s small Camelbak toddler cup. I could handle that. 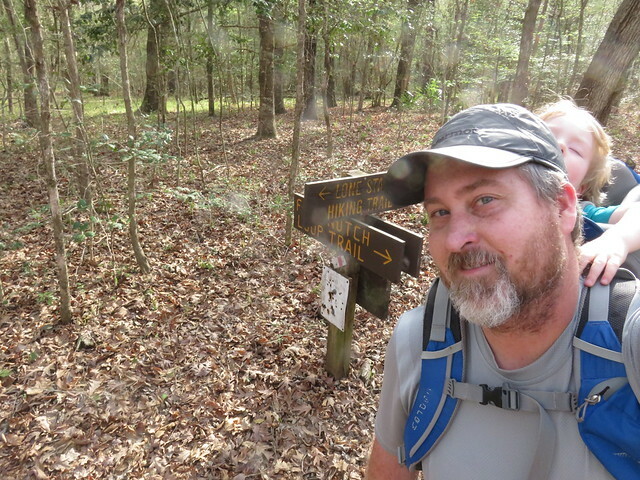 We grabbed lunch on the way out to the trailhead, eliminating the need for carrying another meal, and then hit the trail after lunch. 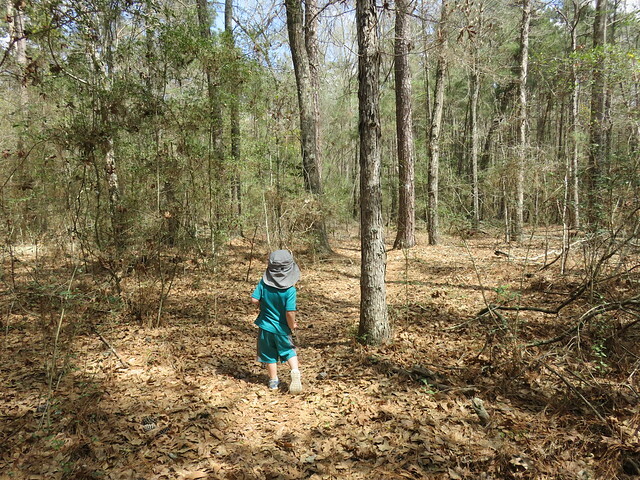 The weather was gorgeous—sunny and warm with the wonderful east Texas pine wafting through the woods. Heading counterclockwise on the loop, we soon encountered more may apples. 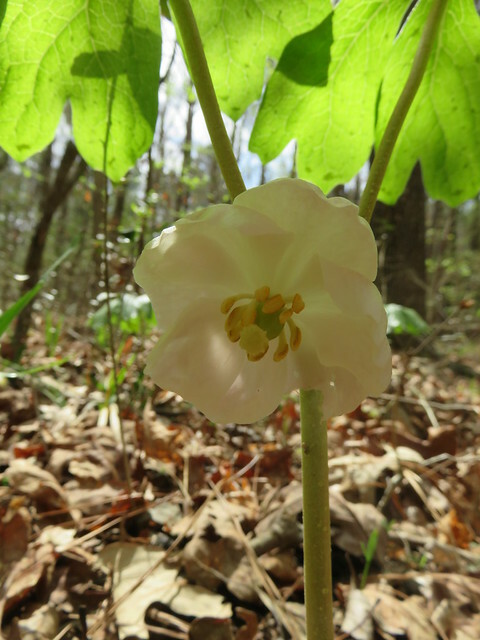 Forest is now a may apple scouting aficionado and began finding them before we even managed to spot them! 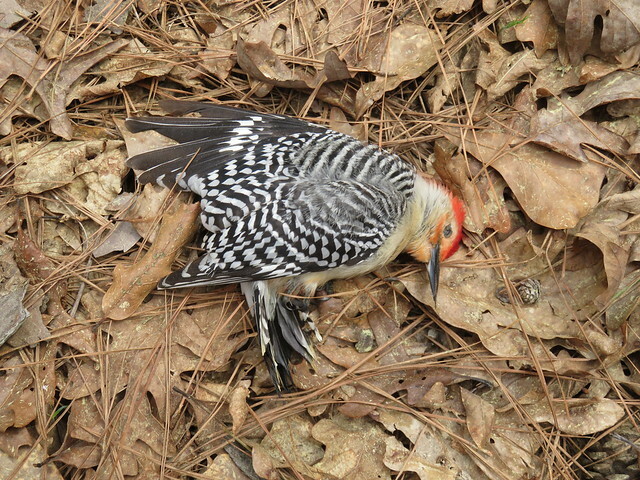 Unfortunately we also spotted a dead red-bellied woodpecker just a few feet from the trail with no evidence of what caused its demise. 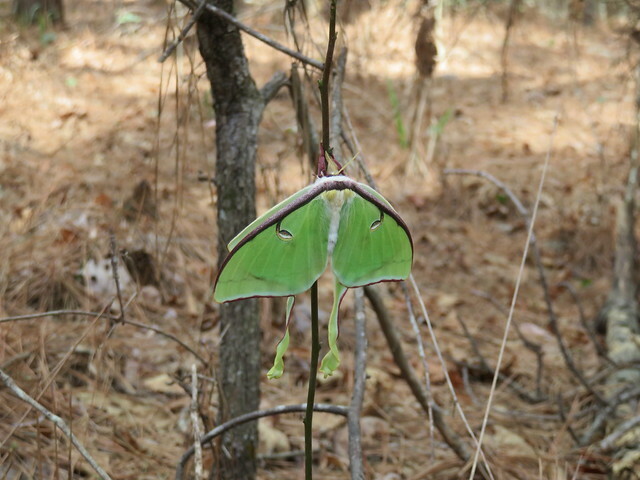 However, we didn’t get much further before I spotted a luna moth! We’ve seen a couple in our yard before, though I can’t remember if they were alive or not. I would have called this the highlight of the day but…. after crossing a creek I spotted two more! Forest got out of the pack a few times to take a break (or really, give Chris a break) and we meandered through uplands, into mesic areas and then down into bottomlands and creek bottoms. 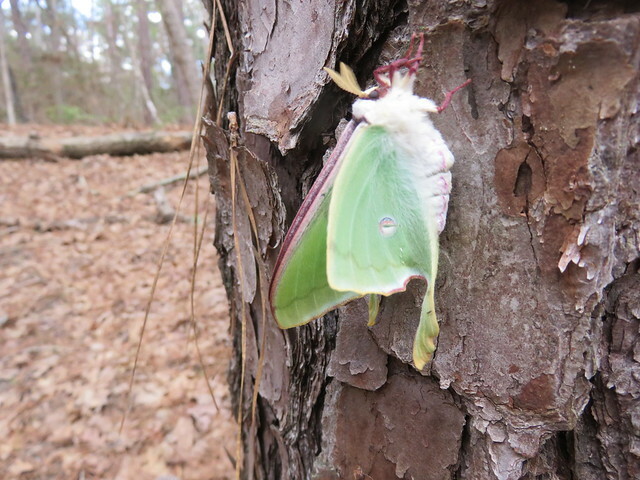 And spotted another luna moth! After the first three I was really on the lookout for more about 2-3′ off the ground. I imagine we passed dozens or hundreds on the hike without seeing them. Pollen insanity around here right now! This was Chris’ boots! 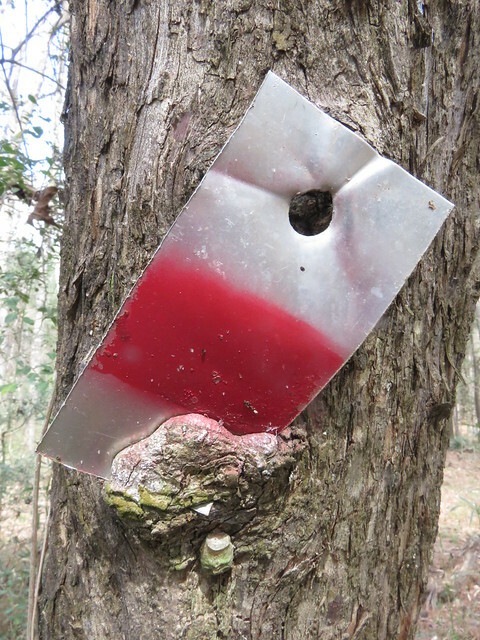 Forest kept calling the trail markers “Stop signs”. 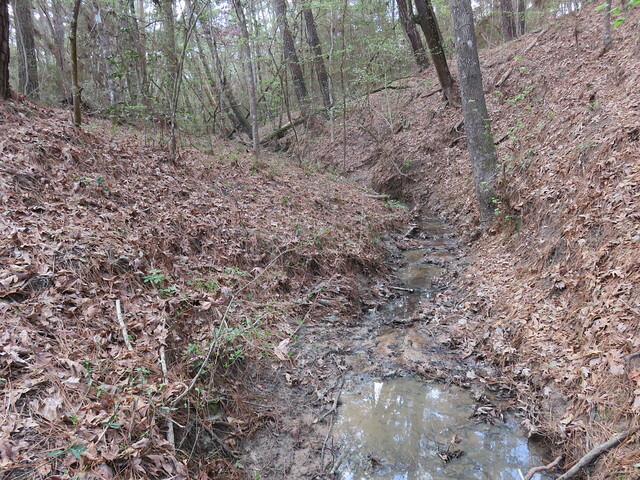 The creek crossings on this loop were in varying states of condition. Across Boswell Creek, the largest creek through the area, I felt it really needed a footbridge of some sort. 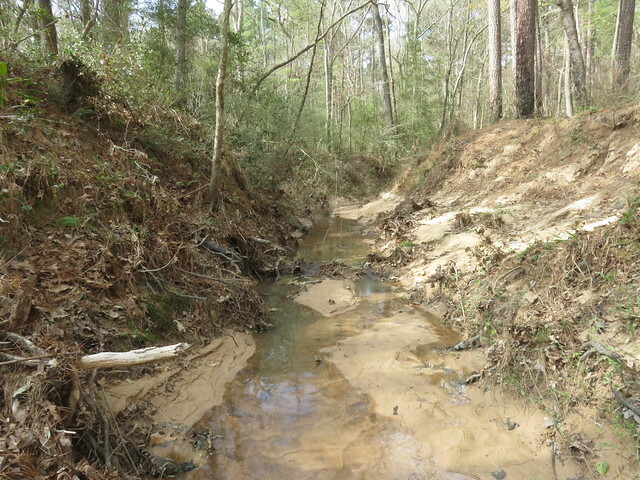 (Not Boswell Creek in these photos above) We had to cross it twice on the loop and at both there were piles of debris where the trail went across the creek and I can imagine during high water this would not be a safe crossing. 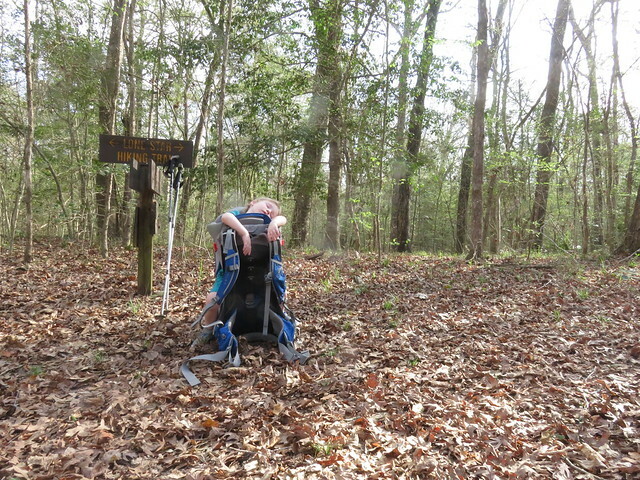 We passed one woman trail running/hiking along the way and Forest passed out shortly after. 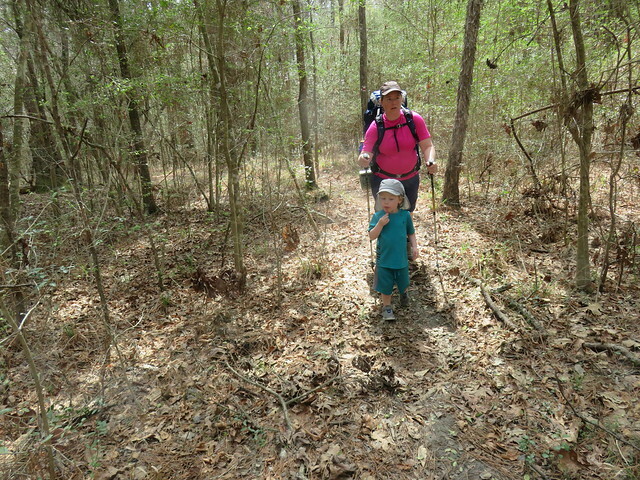 We hiked quietly to where the loop met back up with the main Lone Star Trail and took a short break. 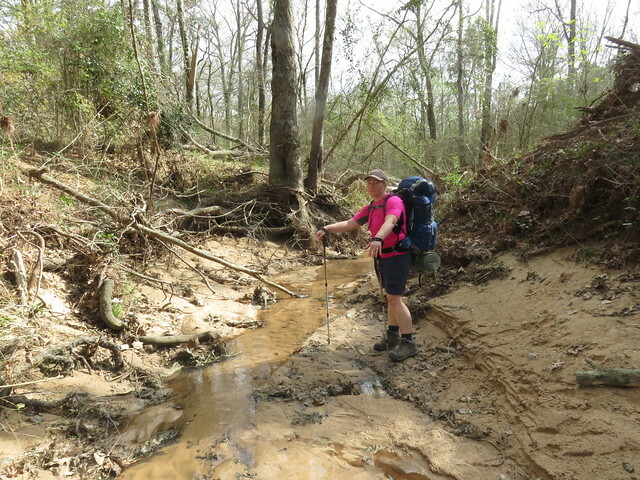 Our goal was to cross the other portion of Boswell Creek in case it rained overnight—it was in the forecast—and make it another bit down the trail and set up camp. 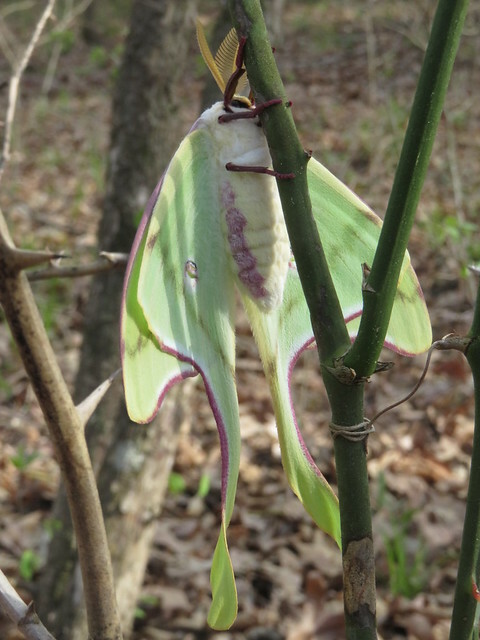 As I sat eating my snack, I looked across the woods and about thirty feet away was another luna moth! This ended up being our 6th! We got on our way and after crossing the creek and getting water for dinner, it took a bit to find a decent spot to camp because we were in a low area and the mosquitoes were pesky. I definitely started lagging, that end of the day “I’m done” mentality creeping in. 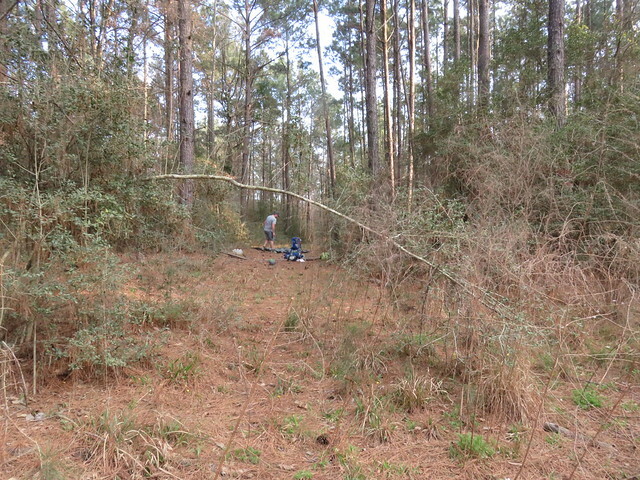 But finally we found a clearing next to the trail and set up camp. 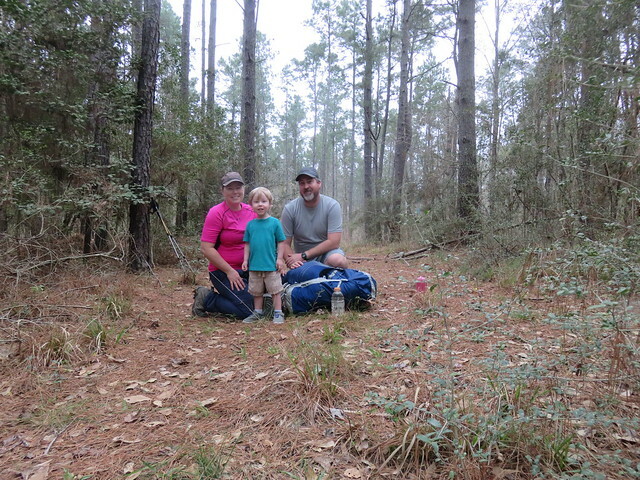 It looked to be an old access road or maybe a fire break—not sure, but it was large enough for us to set up camp. Chris kept a tab on the weather overnight and it appeared we had a chance for rain on the hike out. It happened to be daylight savings weekend, too, so that made going to bed difficult for Forest. He’s used to eating a light dinner and then having a second dinner around 8-8:30pm. We told him when we hung the food bag that that was it, no more food until morning, and it was hard for him to understand that. And then he ended up having a potty accident in the middle of the night—an extreme rarity since getting out of night time diapers—but I suspect that’s because we were in the tent so early and he didn’t get a 9pm potty break in. Good thing I packed multiple pairs of clothes for him! 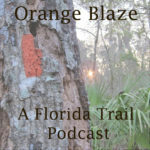 We ate quickly the next morning, opting for bars and easy snacks instead of the oatmeal we brought since we wanted to get on the trail and back to the car in case a thunderstorm came up. We weren’t on the trail long when the sky darkened for a minute and we thought the rain was going to come. It did try to spit a mile or so later but luckily did only that. We made it back to the car in about an hour and thirty or forty minutes, which was pretty good timing. No stops and Chris carried Forest the entire way that morning. I would love to do this loop again in the future. It is easily accessible and there’s enough terrain and habitat variety to keep things interesting! Awesome! 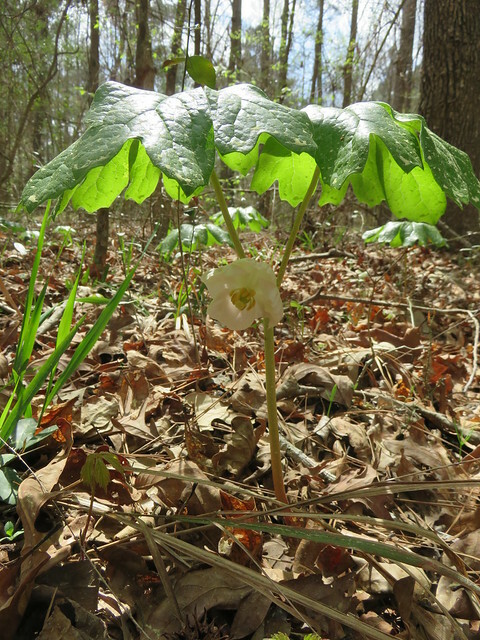 We were out on the Cleveland side of the trail this last weekend. It was almost too warm at night! Your pictures of your recent day hike helped bump me over the edge to go try it out again for the first time since the hurricane. You guys rock!! So glad you were finally able to make that backpacking trip happen. I know you’ve been itching for a long time! Sounds like a fun adventure! 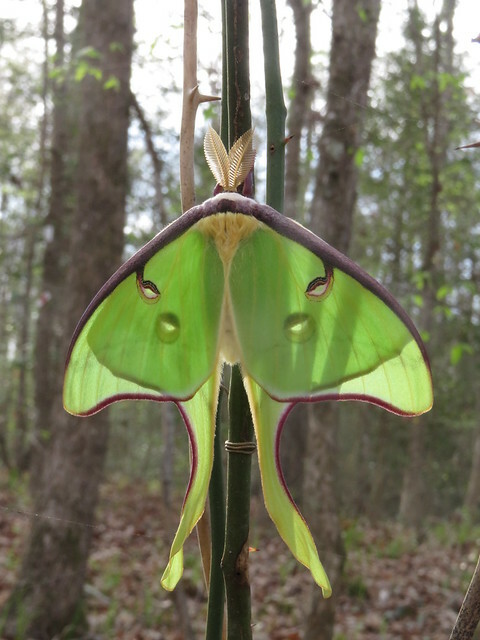 Those Luna moths…wow! I’d never seen may apples before moving up north. I’m always looking for the actual fruit, but no luck. Guess the deer eat them up quickly? 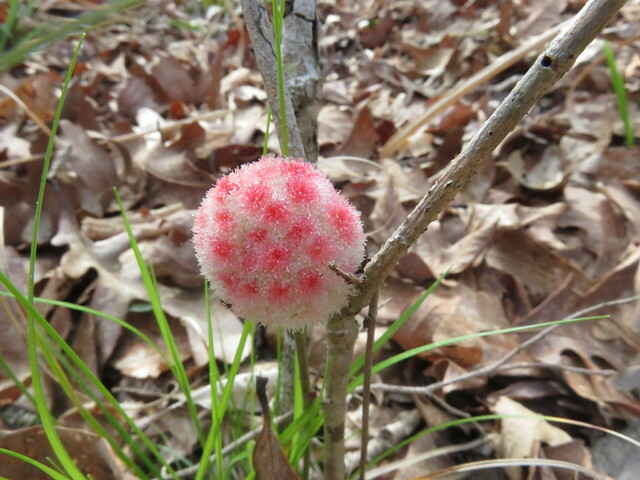 We’ll be mushroom hunting around here soon….my goal is to at least find one model, sigh. Those moths are gorgeous! Wow. I’ve only ever seen the ugly brown kind flying around my door, lol. We just love you take Forest with you!! AWESOME PARENTS!!!! 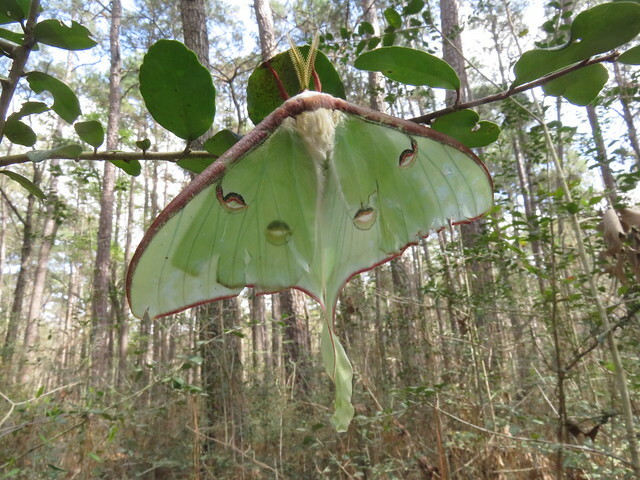 And, holy cow, I am flipping about all those Luna Moths. 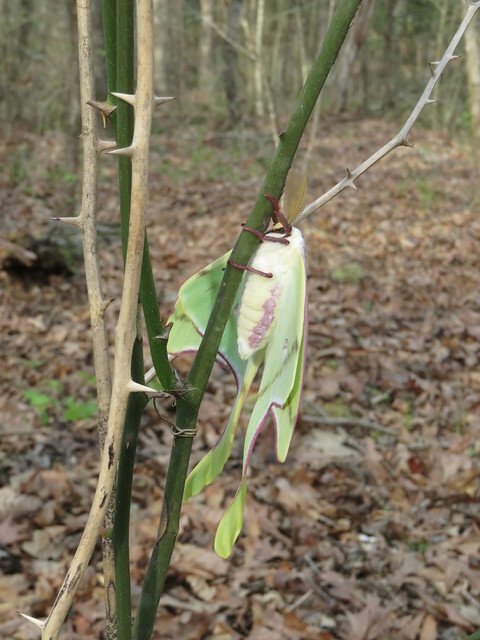 Even the dead Red-belly…so much beauty in this world. Thanks for sharing your adventure and kudos to you for making it happen with a kid. We went and heard Jennifer Pharr Davis talk a week or so ago and she is the same as you guys…getting out with her kid. LOVE! Thank you! I’m planning my first solo overnight on this loop next week for my birthday. I’m really nervous and your article made me feel much more comfortable!